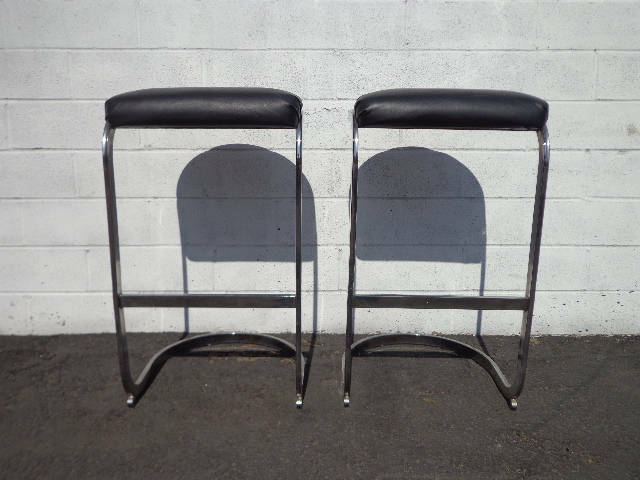 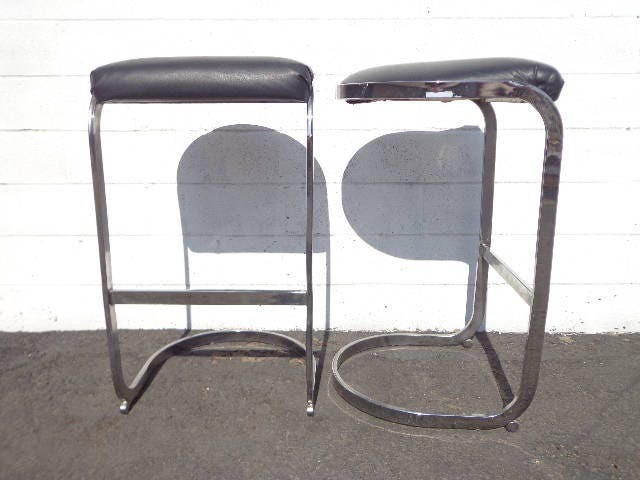 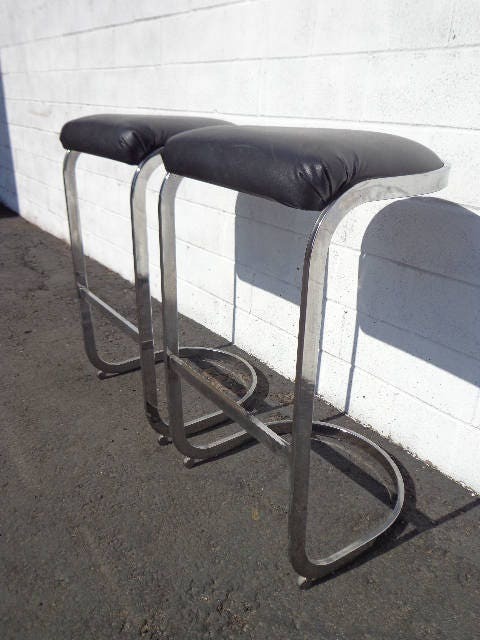 Fabulous Set of 2 Bar / Counter Stools designed attributed to Milo Baughman for DIA. 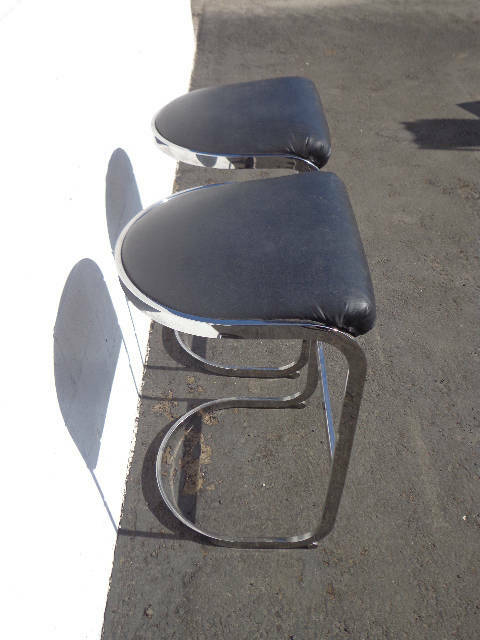 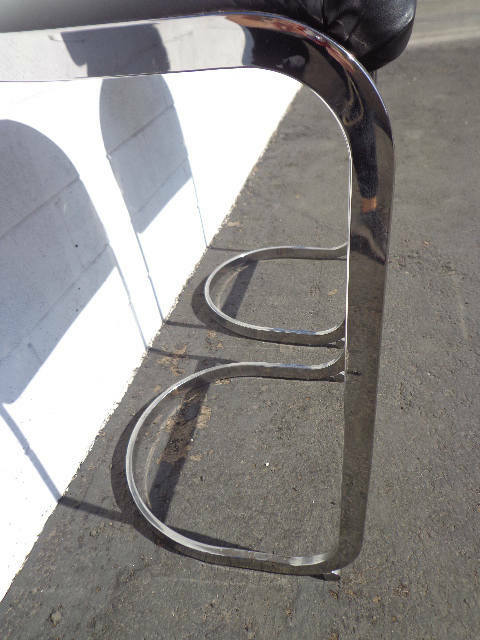 Features chrome silver cantilevered frames and upholstered seats. 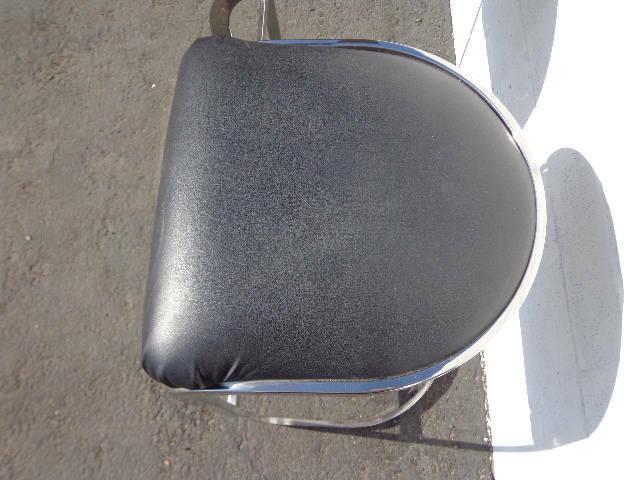 These chairs go well with so many decors and blend perfectly with almost all decors. 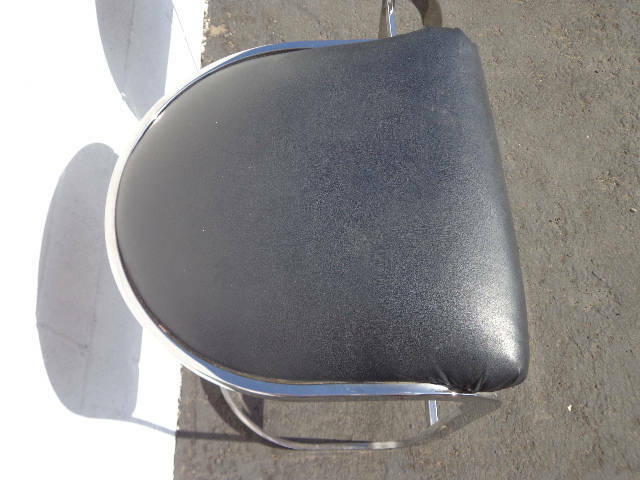 Both chairs are in good vintage condition. 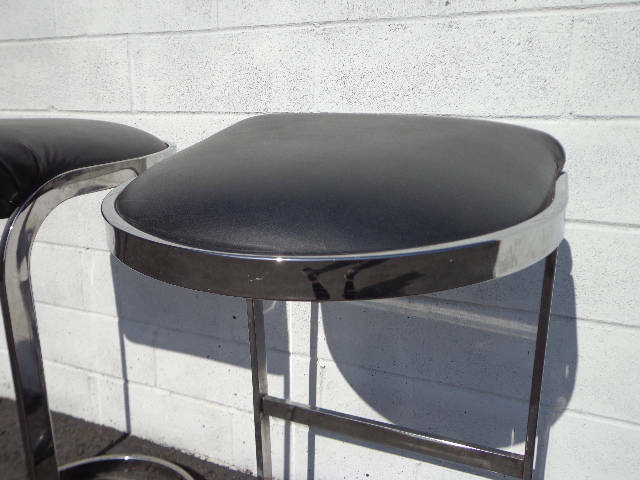 Both show surface wear from age and use. 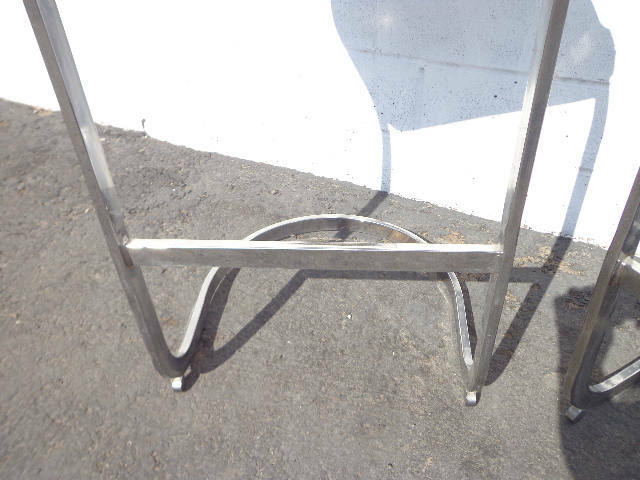 The frames are solid and show some surface wear from age and use. 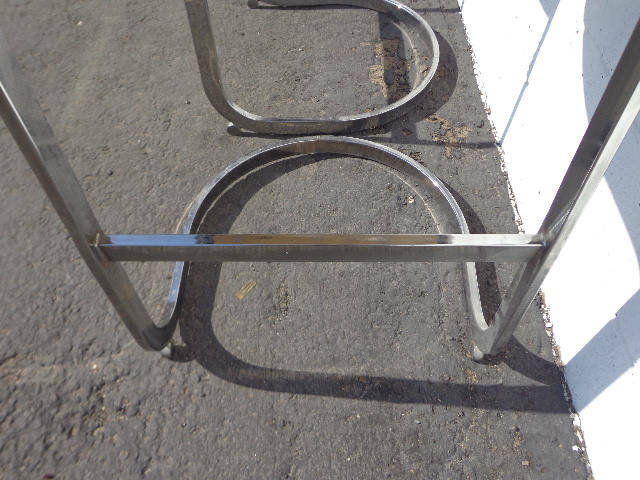 Dimensions: 17 1/4" x 17 1/2" x 30 1/2"